All package components are subject to availability. Rates and availability are NOT guaranteed until deposit is received. HawaiiGolfDeals packages are offered during the dates listed next to the pricing subject to availability. We can book other dates. Please inquire if you are interested in a date not listed. Packages include a Alamo fullsize for two persons or Alamo minivan for four persons. Prices, as shown, include all applicable sales tax and vehicle fees/surcharges. It also includes one additional driver at no additional charge. Overtime charges, drop charges, optional insurance, optional equipment and fuel are NOT included. Drivers from age 21-24 are subject to additional fees. Drivers under 21 may NOT rent an Alamo vehicle. Packages listed do not include airfare. 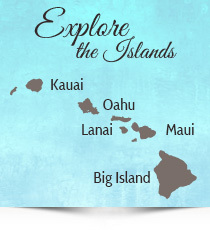 HawaiiGolfDeals will be pleased to help our visitors and subscribers locate the best airfares and itineraries. Any change requested after deposit is received will be subject to a $45 change fee per-booking. Any change requested after deposit is received will be subject to a change fee of $75 per-person PLUS any fees assessed by the carriers. Once travel has commenced, all changes in air itinerary must be made directly with the carrier. All carriers assess substantial fees for changes. A fee of $35 per-booking will be imposed for any last-minute bookings made ten (10) days or less prior to departure. Additional fees for express shipping may be assessed according to the service utilized. 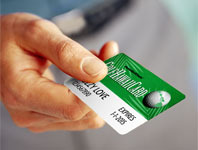 Just present your HawaiiGolfDeals’ GOLFHAWAIICARD and pay the greens fee prescribed on the Rate Card. Payment for greens fees are made at each course location and always includes shared cart. Golfers make their own tee times by contacting the golf courses directly. All participating courses allow booking up to 90 days in advance for HawaiiGolfDeals’ GOLFHAWAIICARD holders. The unlimited (on same-day/at same-course) golf feature is always subject to availability. The HawaiiGolfDeals GOLFHAWAIICARD is NOT TRANSFERABLE to another individual. Due to physical changes caused by weather, maintenance and renovations, golf course conditions may vary. Some HawaiiGolfDeals golf packages (at Kapalua for instance) may provide prepaid golf within the package. Your HawaiiGolfDeals Travel Pro will explain. Non-golfers are always welcome. Ask your HawaiiGolfDeals Travel Pro. Cancellation penalties and refunds PLUS any applicable penalty assessed by our suppliers of air, vehicles, lodging and golf are included on confirmations and invoices on an individual basis and disclosed prior to any payment being rendered. Additionally, all special fees (i.e. travel insurance) are non-refundable. All requests for refunds must be made in writing and e-mailed or faxed (1-818-889-8281) prior to commencement of travel. Please allow 30 days to process refunds. Once travel has commenced, there will be NO REFUNDS except for extenuating circumstances. NO REFUND may be made for partially used or totally unused tour features, golf or vehicle rentals. MAUI MULTI-PLAY GOLF BUNDLE CANCELLATION POLICY: Purchasers may cancel any bundle up to 72 hours prior to your initial day of play at a penalty of 10% of the purchase price of the bundle. Within 72 hours of the initial day of play, there are no refunds, but you may contact the applicable courses to reschedule your tee times. In the event of rain, rain check policies are dictated by the individual golf courses. This cancellation policy also pertains to PACKAGED GOLF on MAUI. HawaiiGolfDeals recommends purchasing travel insurance. Such coverage may be available through HawaiiGolfDeals’ wholesale suppliers at additional cost or you may be able to purchase such coverage through other means. If interested, coverage is generally required to be purchased at time of initial deposit and must always be purchased prior to or at the time of final payment. Coverage is never in effect until the fee/premium is paid. The fee/premium is always non-refundable.